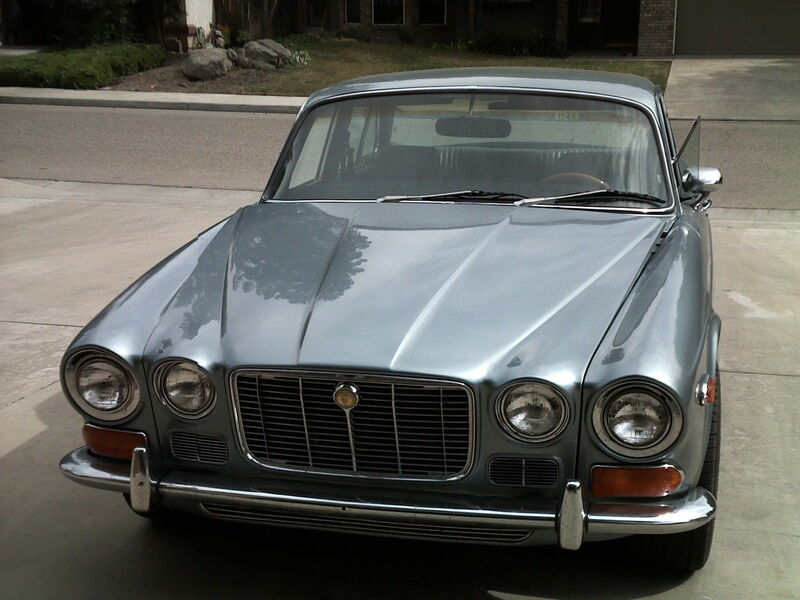 Find this 1973 Jaguar XJ6 Chevy V8 here on eBay bidding for $5,225 with auction ending Thursday at 9:03AM Pacific. 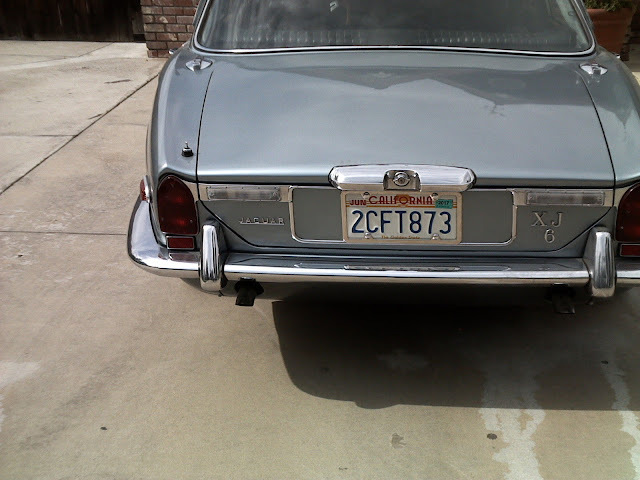 This is a beautiful Jaguar XJ6 that purchased early in late 1987 and did a conversion to a Chevy 350 engine and transmission. 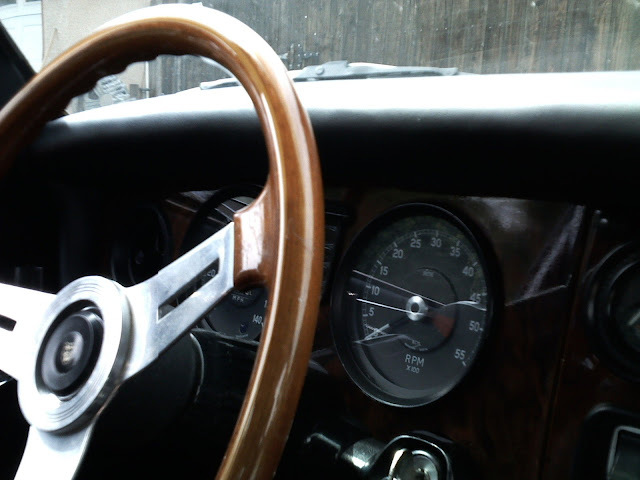 I started driving the car on 13 Aug 88 when the mileage was 22888 miles. I kept a log of the vehicle till 03 1992, when I sold it to a good friend of mine (Steve Waddlington). He kept a partial log of what he did on the vehicle until October of 04. 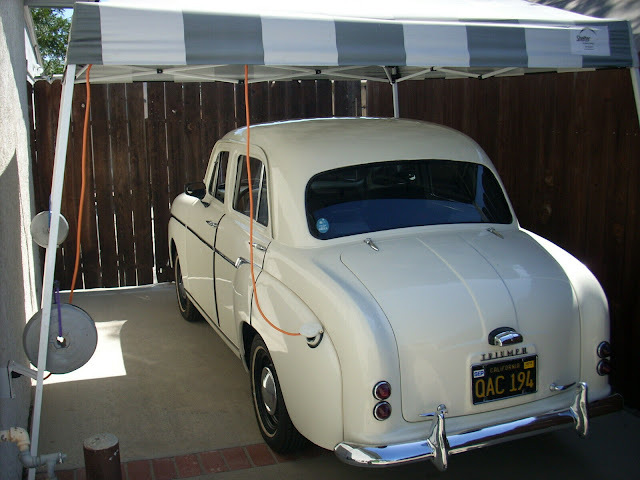 About 2 months ago he died, and I repurchased the car from his widow and drove it back to Visalia (about 200 miles). Steve was a perfectionist, and had worked on and improved the condition all during this period. Now I'm almost 80 years old, and don't need the car anyimore. On May-27-16 at 12:04:15 PDT, seller added the following information:The car is for sale locally and I reserve the right to stop the auction at any time if that happens. I haven't put a reserve price, and I'm really interested in selling as I'm almost 80 and I seldom drive it much anymore. I did put it in a car show locally last Saturday and I have picture of at the show. The owner before I got it back (the widow) says she had additional stuff associated with the car (a new set of gauges and possible other items, but I'm rellucant to bother her at this time due to recent death of her husband. We're still very good friends and the last time I saw her (maybe 2 or 3 weks before he died I took a few pics of them and their son, which I now treasure. The car is, and always has been garaged since I first got it. On May-27-16 at 12:13:26 PDT, seller added the following information:The is one verfy small dent in the right rear door. You can see it if you look very closely. No purist in this situation. Far too many have been done-up for decades now. This one seems based on a rather well maintained Series I car, the prettiest. At $5K is a super buy. How much more? For that body and interior, maybe $8500 as a guess? 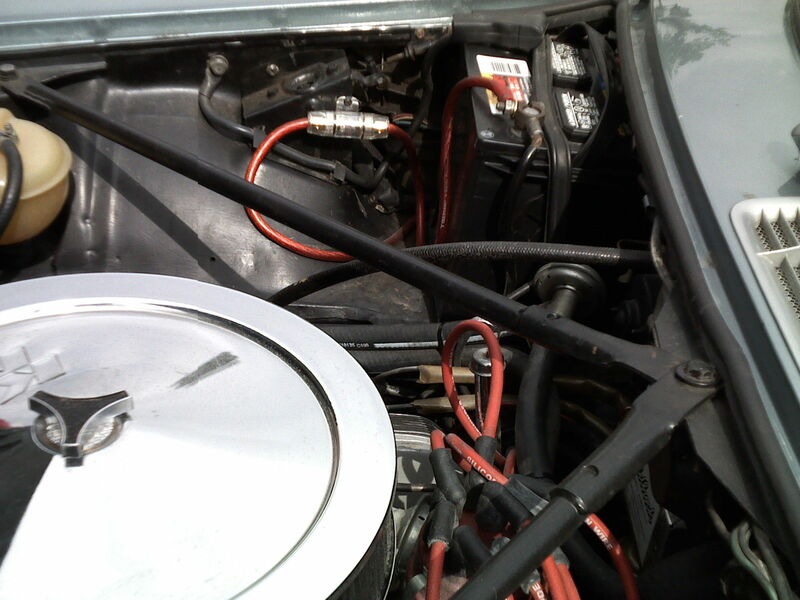 The day may well be close when folks are yanking the Yank motors out and putting sweet DOHC Jag 6. A BMW 6 with 5 or 6 spd stick would be a cool swap. There must be scads of early E46 that run fine but nothing much works on them except the engine.